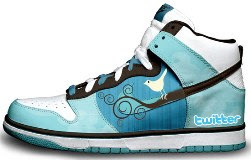 Twitter RSVP is done the day before the shoe’s release date. At a random time on the day Twitter RSVP is Open, we will tweet that we are now open for Twitter RSVP and accepting DMs. You will need to Direct Message (DM) us First and Last Name, Size that you desire, and the specific hashtag we will include in the tweet. We only allow one submission per account. Each name can only be entered once into the raffle. The name that is included in the DM is required to be the same name of the person that will be picking up the shoes. Only the DMs sent between the times that we have the RSVP open will be counted. All DMs sent before or after will not be included in the raffle. If you DM an incorrect hashtag, your submission will not be counted. It does not matter if it is all cap or lowercase letters as long as the content is correct. When The Twitter RSVP is Closed, we will go through and separate people according to size. From there the names we will be put into a raffle and winners will be picked. Winners will receive a DM back instructing them what time they can pick up the shoes and what to bring. Sending a DM does not mean you have reserved a size or are guaranteed anything.